The E3 has started with a bang, none other than EA showed us their upcoming games. 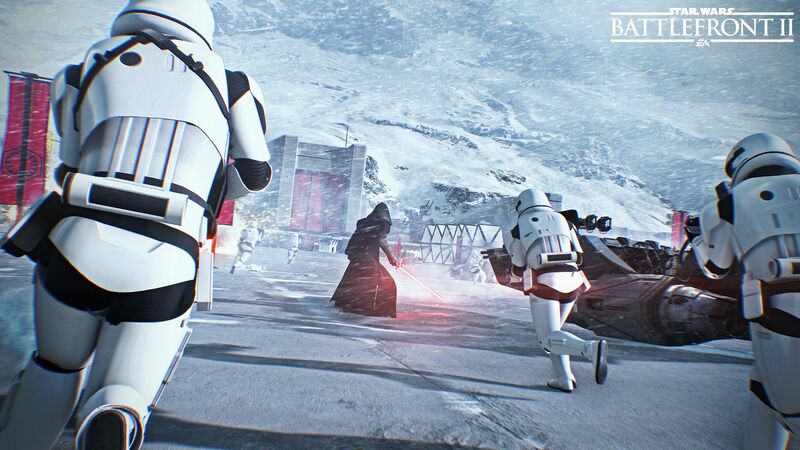 The Force is strong with EA because their main focus is the highly anticipated Star Wars Battlefront II. After the first trailer(s) new details are published. Keep up with the latest Star Wars Battlefront 2 details and get hyped! 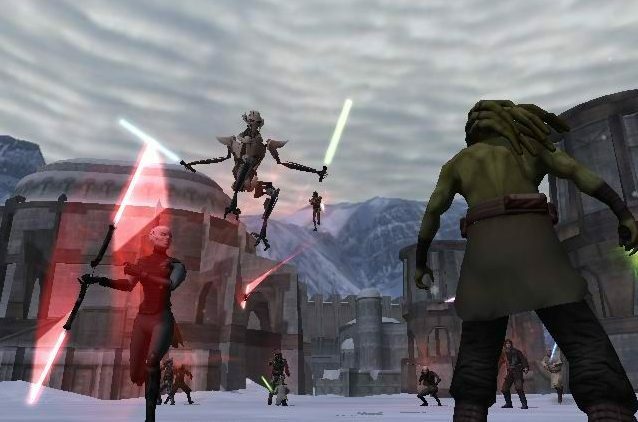 The first reboot of the franchise; Star Wars Battlefront, was not the game we all hoped for. It lacked huge gameplay elements that were already available in the previous versions on the PS2, Xbox & PC. In the new Battlefront the unlocking of was totally random, space-battles were lacking (in the beginning) and ships had to be unlocked by finding tokens instead of actually “hopping in” the vehicles. On the other side (of the Force..) the gameplay was arcade, but fast and enjoyable, the graphics and sound were phenominal and cutting down Stormtroopers with Luke never gets old. Even though the maps were bigger then ever before, the game felt small. Locked away from its true potential. More a quick hit for EA, than the reboot we all wished for. All of the above, and the matter of the ridiculous DLC like other games, issues were returning subjects of dicussions within online forums of the community of the game. 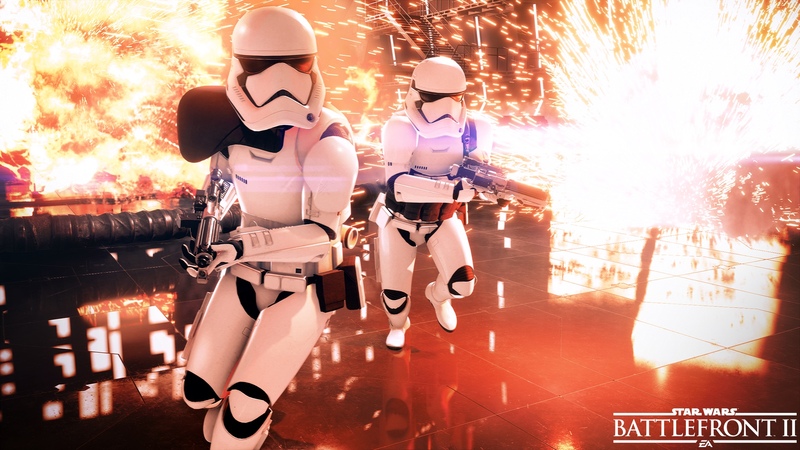 These topics did not went unnoticed by EA and that can be seen by everything that we learn more about the upcoming game; Star Wars Battlefront II. Intens Ground Battles? Check! Space-Battles? Check! An exciting single player campaign? Check! It seems like the game got it all and more! The last couple of days we have been teased with teasers, trailers and actual gameplay. Even though I tried to hide the hype, I’m all aboard the Hype-train. The gameplay shows that Dice has really listened to all the feedback surrounding the first game and what has been shown so far shows that the serie is going back to its roots. No more arcade, boring unlockables. Classes and skills actually pay off again. The game will also contain space-battles. We have already seen an intens battle on the top of a Stay Destroyer, where it seems that the Star Destroyer will also be board able and players can once again fight within these kind of colossuses to turn the tie of the battle. That’s right, even thought the original trilogy will always be the better one, it’s good to see that the prequels will also be accessible within the game. That’s a good thing, because sure.. everybody has his or her opinion about Jar Jar and the silly acting between Anakin and Padmé, the prequels do contain some very original and outstanding battles. Like the mars of the clones in Star Wars Episode Two: Attack of the Clones and the fight on Naboo between the Gungans and the Battle Droids of the Trade Federation in Episode 1. The game will also focus on Episode 7 and it will also have a setup for the upcoming film The Last Jedi. Teasing Naboo – Dice sure knows what we what we to see. As long as they leave Jar Jar underwater. The result of this expanded universe means that in Battlefront II we will also have new heroes, location, vehicles, weapons and characters. In the first teaser trailer we already saw Darth Maul and Rey hitting it off with their lightsabers (– #whait #what). 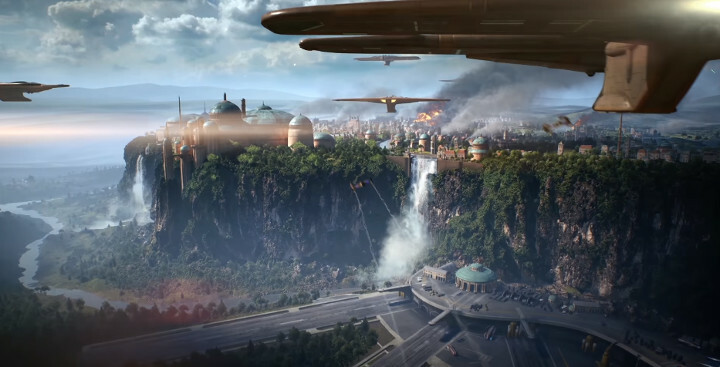 New locations that are teased are Naboo and I also expect Mustafar to be in the game as it looks like a glimpse of it can be seen in one of the trailers. 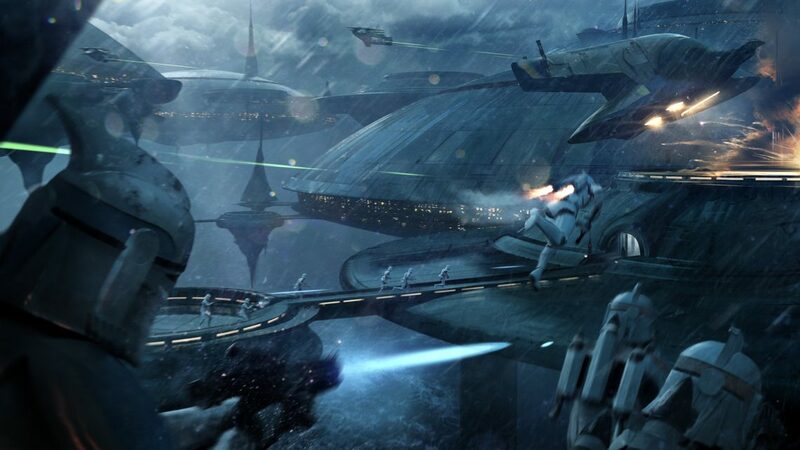 Other planets that play a significant role in the prequels are Coruscant, Kamino & Theed. New planets from upcoming Episodes will most likely be added later with the use of DLC. An entirely new planet will also be playable; Vardos. Vardos is a new canon planet where the rich and famous of the entire galaxy lives. It can be seen as an Utopia were there will be a lot of support towards the Empire as where the inhabitants look at the Rebellion as a pile of traitors. The range of vehicles has also been increased: AAT & the Naboo Starfighter have already come along in the trailers, but more will come. I have the most hope for the Republic Gunship. I can’t wait to hop in the gunship, along with other clones and thin out the herd on the battlefield. For the heroes; as previously mentioned, we have already seen Rey & Darth Maul come by. I’m pretty sure it will not stop there. The potential raster of heroes increased significantly. Think about old-timers like (Young) Obi-Wan Kenobi, (Young) Anakin Skywalker, General Grievous, Kit Fisto, Mace Windu and many more. But also think of new characters like Finn or perhaps even Jyn from the latest movie Rogue One. A new returning feature what was also lacking in the first reboot game was an (indulging) singe-player campaign. This promises to be one of the most challenging parts of the entire game because sure knows how to set a high bar. The single player is focused on a squad of Imperials right after the second Death Star has been blown to pieces in Episode 6. It will literally be the other side of the medal whereas we normally (only) play as the heroes. The story is considered canon and will mostly focus about the side of the Empire, although it will also shift to the side of the Rebellion at certain points. We will play as Versio, the female leader of the Inferno Squad. Their main goal will be avenging the Emperor and the entire Empire. It will be interesting to see how this story will unfold and show the impact of the loss on the side of the Empire, which will eventually set up the events in Episode 7. 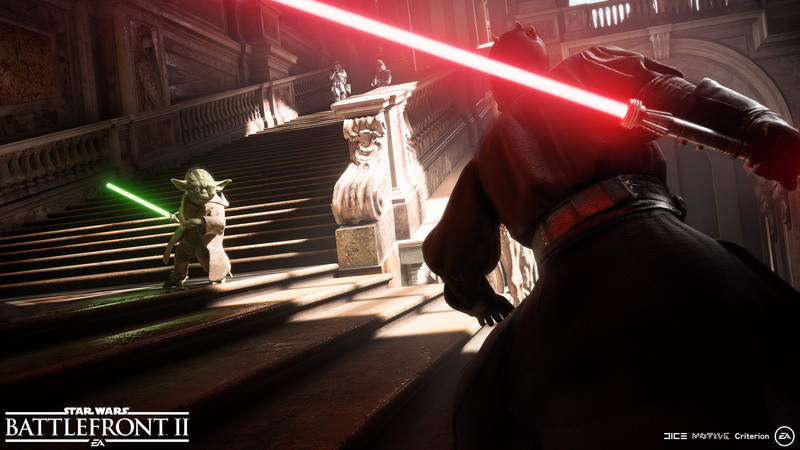 The game will also contain classes, instead of the upgrading system in Battlefront. Four classes have been revealed so far. These are Heavy, Assault, Sniper, and Officer. I’m eager to find out if these will be the only classes the game will contain or that new classes will be added in the (nearby) future. Both the heroes and classes will be upgradable with the in-game currency which kind of works like gaining EXP by reaching objectives and defeating enemies. Playing as team will be more important than ever before. This is shown as where you will now not only span at certain points but you will span with an actual squad exciting of three or more. Finn and Captain Phasma will be part of the ‘first season‘ of DLC, which is free for everyone and also offers themed seasons of content. This first real seasons DLC will be themed around The Last Jedi, with other seasons to be revealed in the future. The Last Jedi is released a month after the upcoming Battlefront II. This way we can also get a little taste of the upcoming Episode before hitting the popcorn in the cinema. 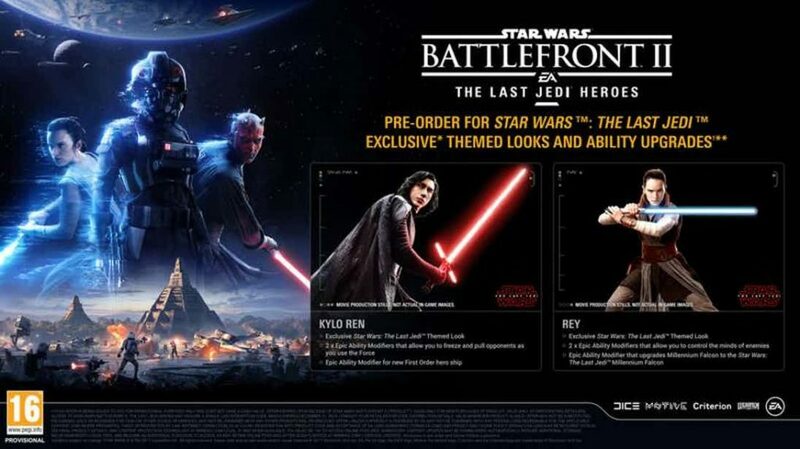 The pre-order DLC will give costumes and extra abilities for Kylo Ren and Rey. Kylo Ren gets the Power Reach and Solid Freeze as Rey will obtain Far Sight and Deep Mind. you will also get an Enhanced Auxiliary Power and First Order Ship Upgrade for an (so far unknown) vehicle. Also, if you pre-order you will get early access to the multiplayer BETA of the game. It will also give you access to the limited The Last Jedi version of the Millennium Falcon. Star Wars Battlefront 2: Elite Trooper Deluxe Edition; that will give gameplay bonuses like an instant unlock of the A280-CFE blaster rifle. Star Wars Battlefront II will hit your PS4, Xbox One and/or PC on the 17th of November 2017. 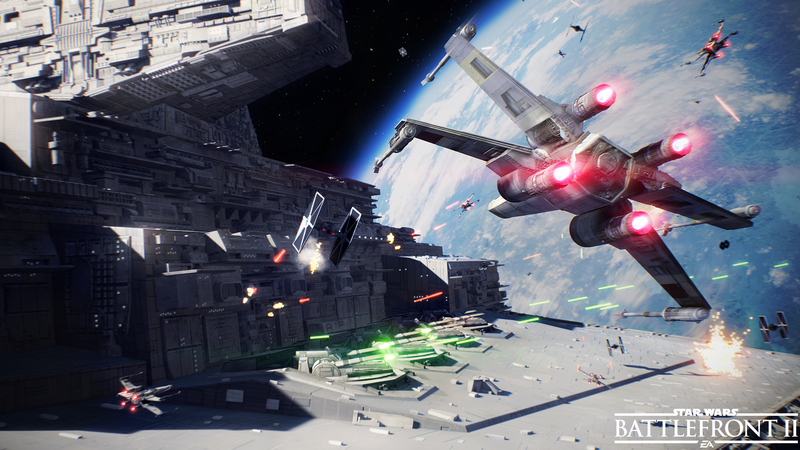 What are the Star Wars Battlefront 2 details you would like to learn more about? Follow me on Twitter, Follow me on Youtube. Follow me on Google+. Pingback: It's still worth buying a PS VITA in 2017 - PS VITA the ultimate handheld?